Is a hat a frivolous accessory or a necessity? When looking into its history it quickly becomes apparent that it has been both. Headwear for women began in earnest during the Middle Ages when the church decreed that their Hair must be covered. 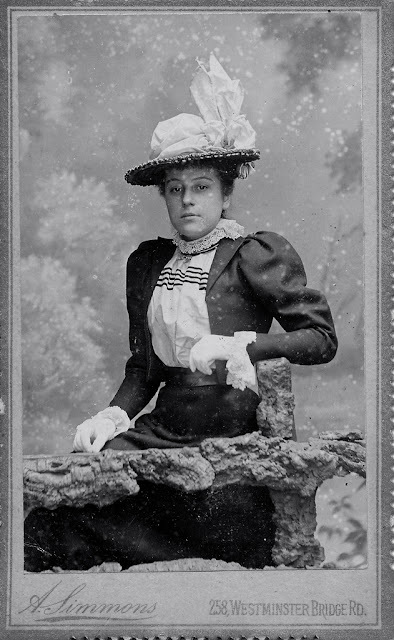 Throughout the 1870’s and 1880’s, hats and bonnets were on a fashion par. 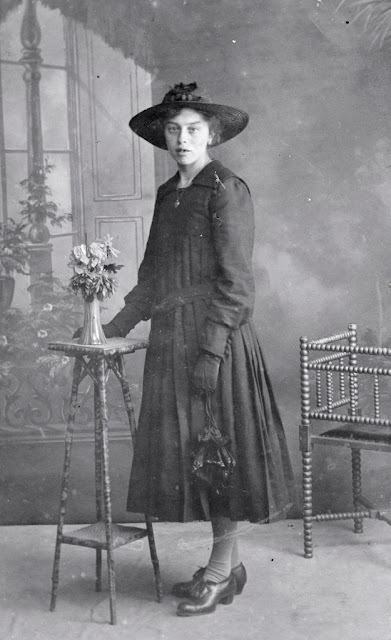 Women who wanted a more modest appearance often preferred bonnets. 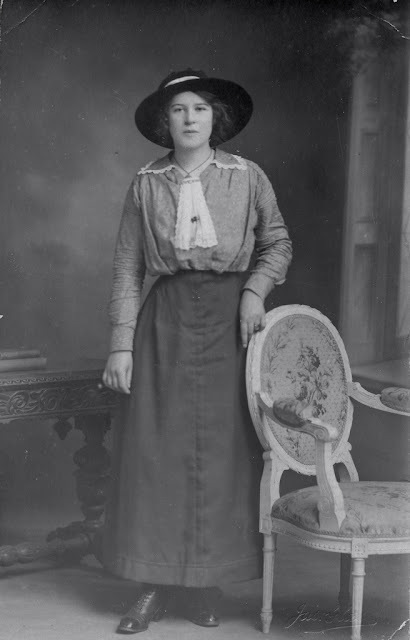 Sadly for bonnets, this eventually associated them with a matronly appearance. Very tall hats of the mid 1880’s were known as ‘3-story’ or ‘flowerpots’ and for very good reason. They soared atop the hair, appearing as if a roof on the tower of a building. This style originated as a revival of a late 18th century woman’s riding hat. That in turn was a copy of a man’s style of the same period. 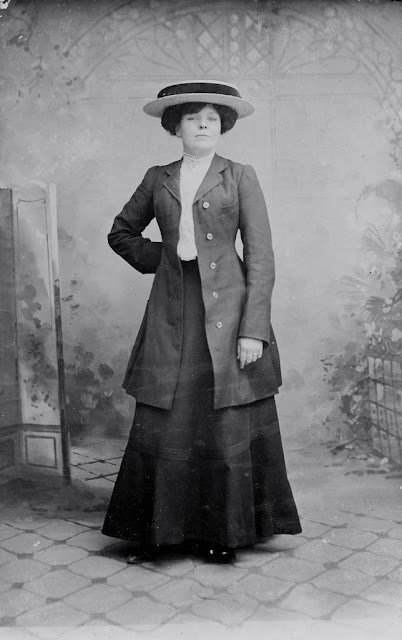 Masculine styled clothes and hats entered women’s wardrobes in the 1890’s via new forms of sporting and activity clothes. ‘Boaters’ and ‘Trilbys’, previously considered masculine, were now appropriate wear for all but the dressiest of occasions. 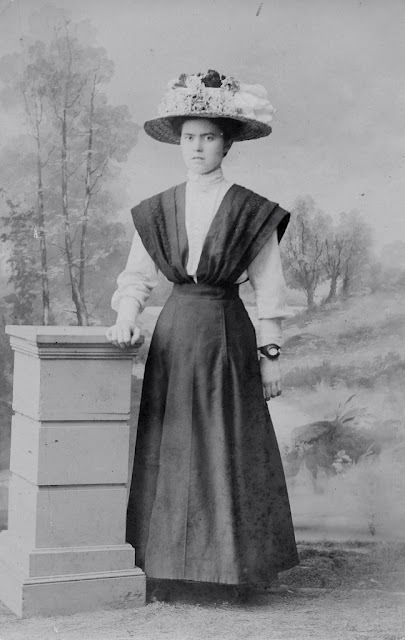 Hats downsized in the middle of the 1890’s but grew in width again by 1900. In the early Edwardian period, it was fashionable for a lady’s silhouette to resemble an S-shape. The hat was an essential element. It was worn on top of piled up hair and positioned to cantilever over the face. This curvaceous form was carried through the bodice that was pouched over the waist and ended in a trained skirt. Also popular in this era was the ‘toque’, the name given to a brimless hat.